It’s a hot topic just now – as the country starts to take in the ramifications of the decisive vote on 23 June, when the electorate decided by 55% to 45% that Britain’s future lay outside the European Union, every part of the economy is digesting the news, and trying to make sense of what it means for their future plans and direction. No decision taken by voters in half a century is expected to have such a wide impact on the country’s future – and even though the outcome was decisive, disentangling ties and trading arrangements built up over that time is sure to be a protracted process, and one which is sure to bring to the surface tensions and differences which a mere half-century make seem like a temporary spat. So before the talks get under way in earnest, now is the time for sober reflection, and possibly considered thought over what a world outside the EU might look like. But there are reasons to think that the early signs of prospects for manufacturing and engineering in the UK aren’t good. A report at the end of July from the Engineering Employers’ Federation found that members’ confidence had dipped in all parts of the UK since the EU referendum result had been announced. The Federation’s annual report uses data gathered from members, along with the government’s Office for National Statistics to draw a picture of the levels of confidence among manufacturers. It came to the unequivocal conclusion that “manufacturers’ business confidence has taken an across the board beating”, with every English and Welsh region registering a downturn in optimism. Measuring participants’ confidence as a score out of 10, the EEF found that it had dropped from 6.37 pre-referendum to 5.24 in the weeks which followed. In the north-west, the degree to which many manufacturers depend on continuing support from an overseas parent business was laid bare, with more than a quarter (28 per cent) expressing fears over whether they might continue to be treated fairly. More generally, nearly six out to 10 firms in this region identified their biggest concern as possible weaker demand for their products. Worryingly, a quarter of manufacturers in the north-west of England claimed they couldn’t see any new opportunities arising for them as a result of Brexit. When it comes to what manufacturers want to see in order that confidence can be built, a solid business environment, supportive policies and the right outcome from Brexit negotiations should get sentiment back on track. While recognising the scale of the negative sentiment in the sector in general, Lee Hopley, Chief Economist at the EEF, nevertheless reiterated that engineering firms have experienced all kinds of economic conditions, and have often succeeded by facing such challenges head-on. “The referendum outcome has provided a jolt and it’s clear that there are fresh challenges ahead,” she said. She stressed, however, that “a solid business environment, supportive policies and the right outcome from Brexit negotiations allowing for trade and ongoing access to skilled workers” were now essential for ensuring that the sector could defy the doom-mongers and find a clear path forward. Weaker Pound To Come To The Rescue? Sales among UK manufacturing companies are split roughly equally among Europe, the United States and the rest of the world, pointed out Jo Reedman, senior capital goods analyst at N+1 Singer. As a result, she agreed that the weaker pound should bolster efforts to remain competitive and sell products well beyond the boundaries of the EU. 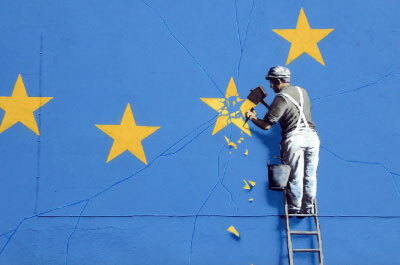 Given that, under the Lisbon Treaty, the negotiations which will eventually lead to the UK breaking its formal ties with the rest of the EU could take up to two years – and that includes provisions for negotiating alternative trade agreements – it’s expected that many firms will continue with ‘business as usual’ for the immediate future, and there should be no reasons why this approach won’t bear fruit. So, for now, there are no reasons why prospects for manufacturing in the UK should be downgraded. And indeed, right now, with a low pound, and existing trading agreements still running their course, it’s a good time to be looking to spread the ‘Made in the UK’ message anywhere around the world.